This is the most popular type of connection. A cable is supplied to your apartment or office, through which the Internet signal comes. Two connection options are used: twisted pair and optical cable. 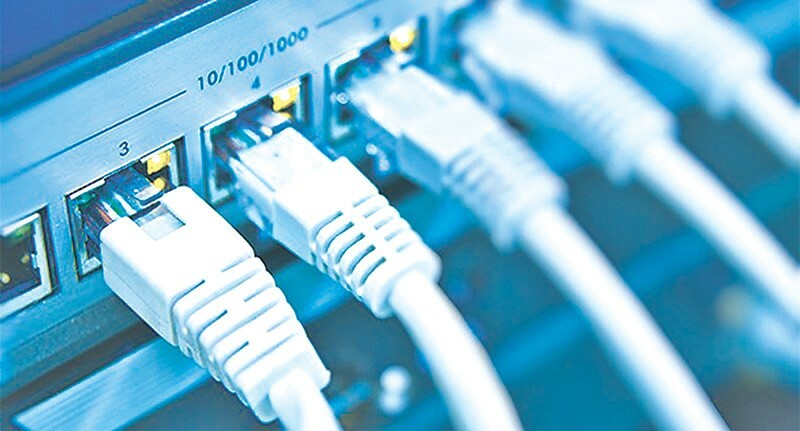 In the first case, a high-capacity fiber-optic cable is carried out from the service provider to the house or junction box, and a twisted pair cable is inserted into the apartment itself. The connection speed does not exceed 100 Mbps in this case. The essence of the local network is that the provider assigns you a separate IP address. All computers connected by a large network that has Internet access through a supplier. There is access with dynamic and static IP. For you, this is the easiest type of connection. All settings for each connection are assigned by the provider, and you do not need to configure anything further. You simply plug the cable into the computer or into the router and start using the Internet. With this type, the user needs to enter in the settings of the network card or router the parameters that the provider issues and which are unchanged during each communication session. This is quite convenient for online services that request a permanent IP address from you. VPN is used as the main type of connection, dynamic or static IP. The difference between them is in the manual entry of a local address or its automatic determination. Such a connection is considered the most difficult, therefore it is rarely used. You can find out the parameters from the technical support of a specific service provider. The development of standards for 3G and 4G allows you to use the Internet at a speed comparable to a home connection. In many countries, the standard 4G is available at speeds up to over 100 megabits. Where it is not available, 3G works at speed up to 40 megabits. Mobile Internet has different speeds at different places. You can check the speed at your side by performing a speed test. For Example, if you are using Etisalat (Mobile Connection in UAE) then, you can perform Etisalat speed test to check the speed at your place. Almost everyone is familiar with Wi-Fi, almost every house has a router, and in many public places, there are free access points. Wi-Fi allows you to cover those areas in which it is difficult to provide cable connections in every home. This is applicable in the private sector or cottage settlements. To ensure coverage, base stations are used that provide coverage within a radius of several kilometers. To connect, you need to have a special receiver, and when away from the station – an amplifying antenna. The technology is not widely used, as it still requires the supply of cable to the village.